Lovely custom home in a redwood forest. Marble tile entry, carpeted and hardwood floors throughout. Wonderful views of the forest from all of the windows. Springtime brings an explosion of colors from numerous Rhododendrons, flowering shrubs. Rooms have custom built-in desks, house has lots of storage, ample pantry. Spacious 3 car attached garage, with extra carport. You will have 20 acres of Redwood trees, 200,000+ board feet. 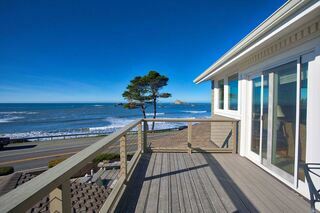 Privacy, but close to the ocean beaches and Redwood Nat. Park. 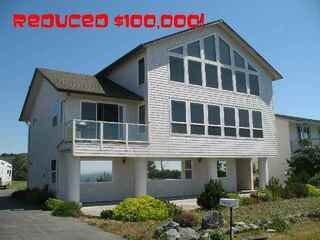 Custom home w/ panoramic ocean views! From the moment you enter through the 8' front door the quality of construction is evident. 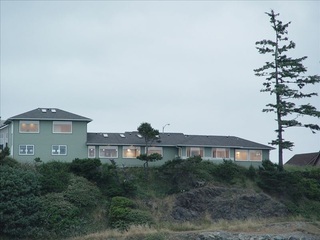 Enjoy the gas fireplace while taking in the white water ocean view! The kitchen features lg granite island, Johnston Cabinetry w/ soft close doors & drawers, dual fuel range w/ pot filler & separate oven & custom backsplash. The master suite has two lg walk in closets, beautiful walk in shower, 2 sinks, heated floors & heated towel racks & is ready for a freestanding tub. 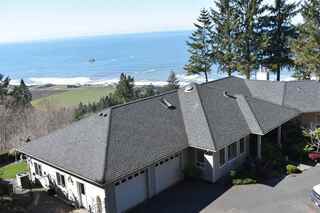 Expansive Ocean Views in Magnificent Mountain Setting! Get away from it all here on top of the world. Listen to the ocean waves from far above! 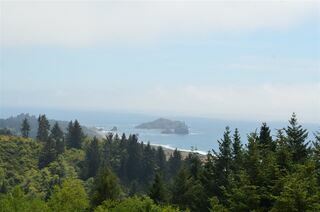 Located between Crescent City CA and Brookings OR, this home has sweeping ocean views, cathedral ceilings, abundant wildlife viewing, a luxury gourmet kitchen including a Wolf range and oven, a year round spring climate, and a cavernous 1800 sqft (18ft tall) shop set up for all your toys! Come enjoy this perfect retreat with arresting views and all the amenities! 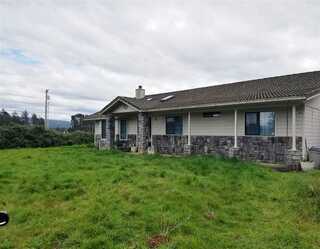 Wonderful ranch property w/ almost 75 acres of pasture & wooded area's. Very private location & close to the beach too. 4 bedrooms & 2 baths w/ vaulted ceilings. Master suite features double sinks & 2 closets (one is a walk in). Heat pump & pellet stove. There's a small separate storage or office building, green house, 3485 square foot shop w/ tall roll up doors w/ auto openers & lots of fruit trees. The land is fenced & cross fenced & has at least one well & 2 septic tanks. Major remodel in 2001. 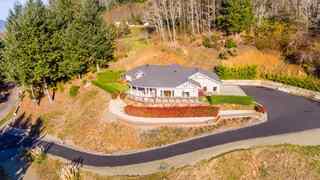 Large family home w/downstairs master bedroom, sewing & mud room, updated kitchen w/granite counters, dining room, large living room with gas insert in fireplace. Upstairs guest room w/balcony, office & huge 2nd master bedroom w/large closet and lots of light. Fenced garden w/sprinkler system, storage shed, large deck. 784' shop. Walk across bridge to listing at 2780 US Hwy 199: 1,800' "cabin," a woodworker's dream shop w/kitchen, bath, utility, office, gym, & craft room. RV hookup. Page rendered in ~0.111 seconds using 1.8 MB of memory.